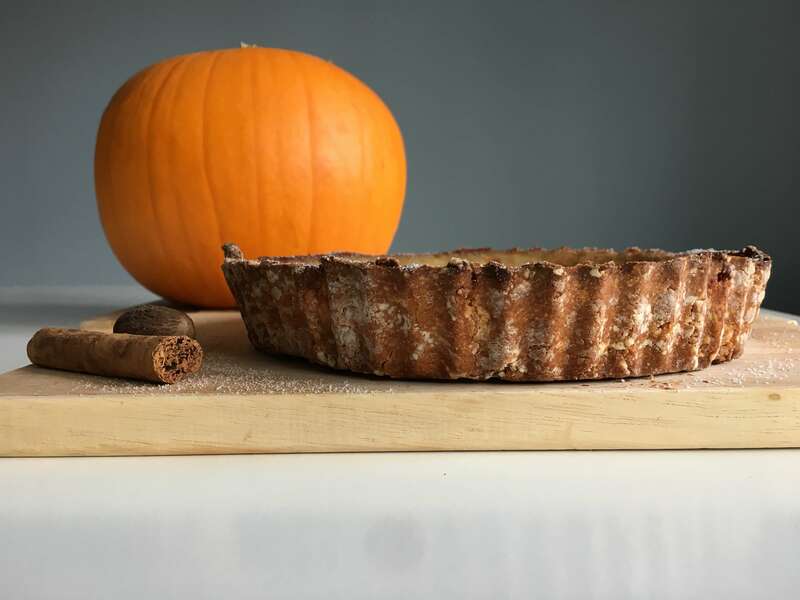 As October comes around again and pumpkins are everywhere, I thought I’d share my recipe for gluten free pumpkin pie. 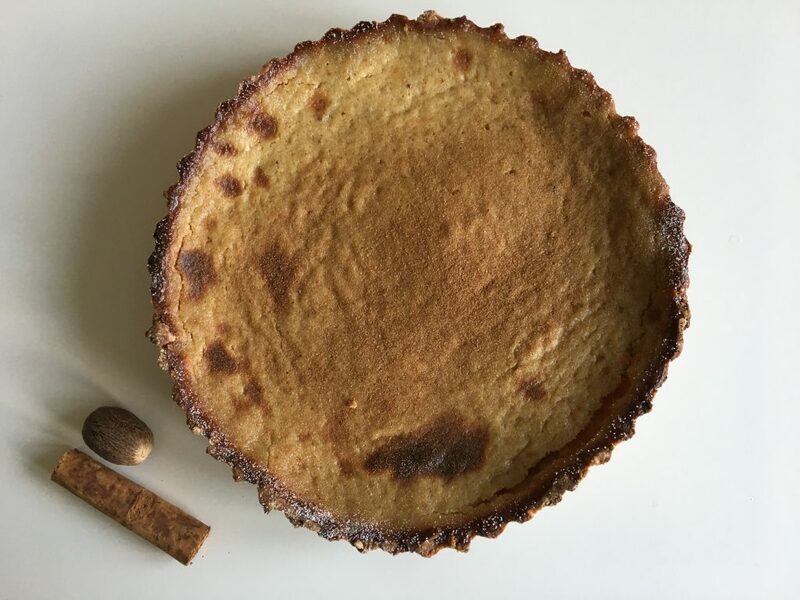 I’ve used a gluten free shortcrust pastry packet mix because, well, I’m lazy! It tastes pretty good though and I’m not sure anyone would notice that it’s gluten free. A little gluten free flour to dust the work surface when rolling the pastry. A little icing sugar and cinnamon for dusting. Make the pastry first. Shove the packet mix, milk, butter and caster sugar together in a bowl and combine well. I found mine seemed quite a wet mix but it turned out okay so just go with it! Wrap in cling film and stick it in the fridge for 15 minutes. Preheat the oven to 160ºC (fan). While the pastry is chilling, pop the pumpkin on the stove in boiling water. Bring to the boil and simmer for around 20-25 minutes until soft. Drain and allow to cool. Remove pastry from fridge and roll on out lightly dusted surface. Good luck lining a tart tin with a whole sheet of this pastry! Mine broke apart so I created a kind of mosaic with the pieces and pushed it in to form a pastry case. Bake blind* for 15 mins. Remove the covering and bake for another 10 minutes until the case is pale golden. Allow to cool. Next, put the cooled pumpkin in a food processor and whizz into a puree. You could use a stick blender for this or push it through a sieve (as a last resort – it’ll take forever!). Increase oven temperature to 200ºC (fan). 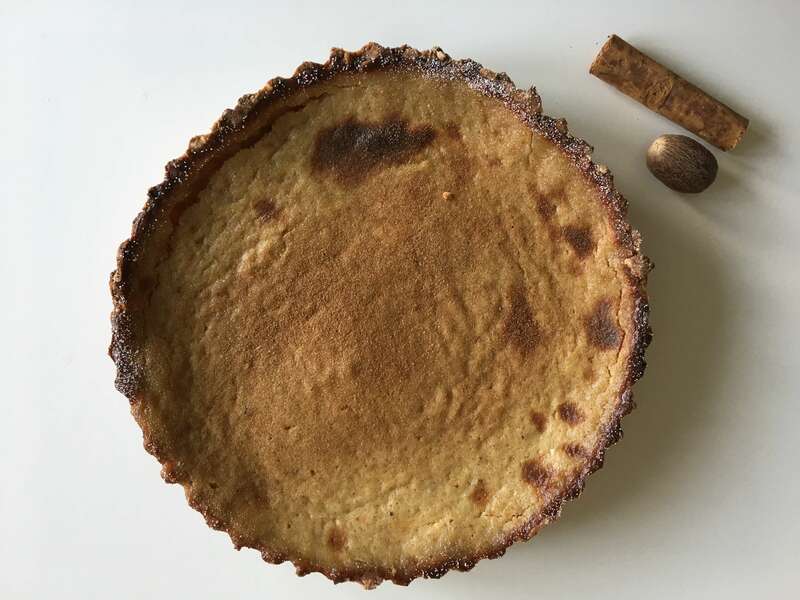 Combine the sugar, salt, nutmeg, cinnamon, beaten eggs, melted butter and milk in a large bowl. Then add the pumpkin puree and mix well. Pour the mixture into your pasty case, then place in the oven for 35-40 minutes, until the mixture has just set. Allow to cool, then remove from tin. Dust with icing sugar and cinnamon. 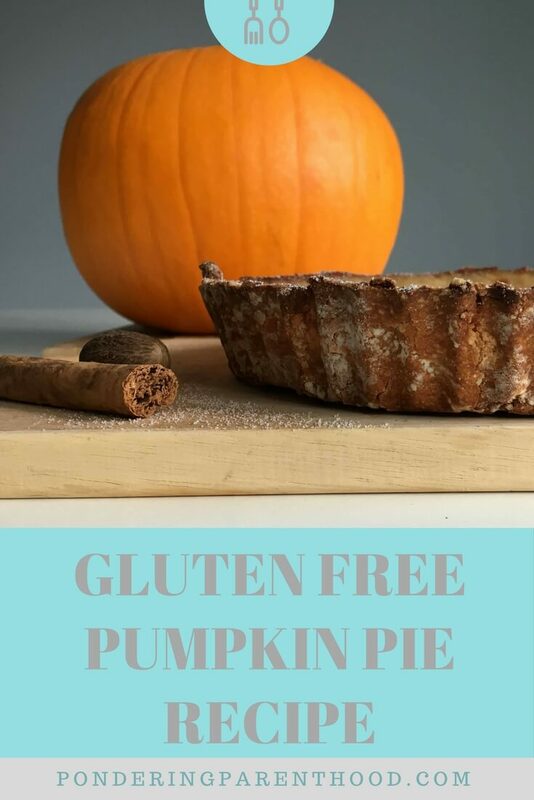 Enjoy your gluten free pumpkin pie! *If you’re posh/a proper baker, you’ll have baking parchment and baking beans for this. 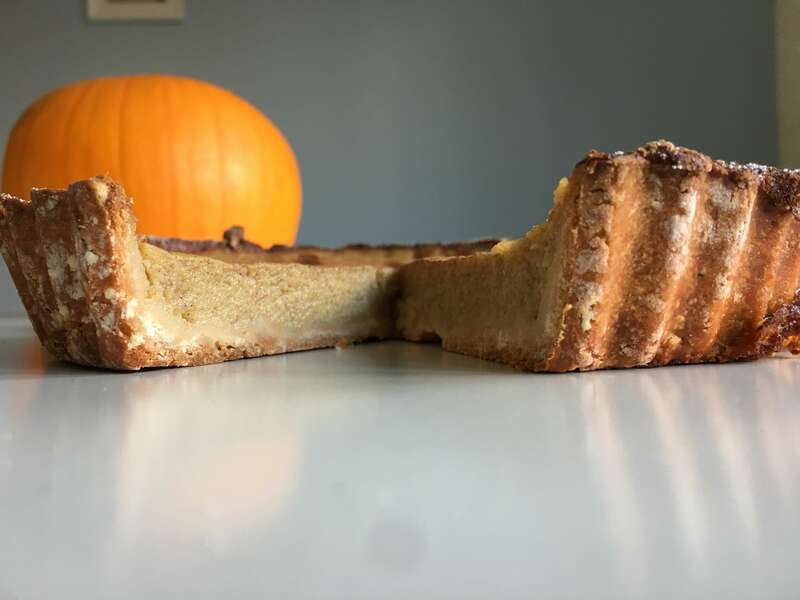 I just lined the pastry with grease proof paper and poured a bag of brown rice that’s been sitting in the back of the cupboard for years over the top. Worked a treat!